Easton Synergy HSX Youth Elbow Pad | Sports Etc. 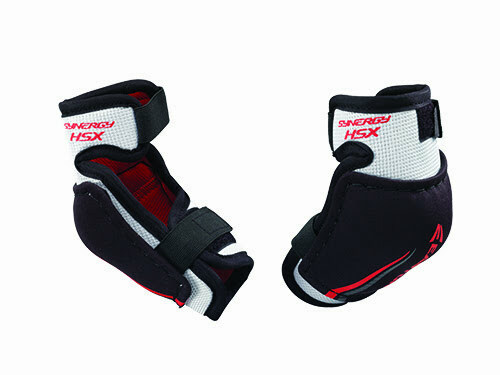 The Synergy youth elbow pads have hard plastic caps for increased protection. 2-strap system and soft foam for added comfort. Sports Etc Performance To Value Rating- 7 out of 10. Generic plastic cap elbow pad. Good for any learn-to-skate player.